Friday saw two films releasing trailers. One was a small science fiction film. The other was Shaun The Sheep. The two films bookend 2015. One is out in December the other in February. You start the year with a wonderful hand-made film and end it with a computer generated space action-adventure yarn. It also triggered something inside me seeing the poster. It reminded me of a late 90s film that involved animals and a big city. Even the poster is quite similar! 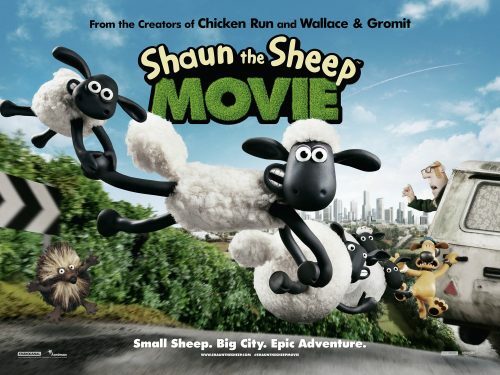 The movie sees Shaun’s mischief inadvertently lead to the Farmer being taken away from the farm. Shaun, Bitzer and the Flock have to go to the big city to rescue him, setting the stage for an epic and hilarious big screen adventure.